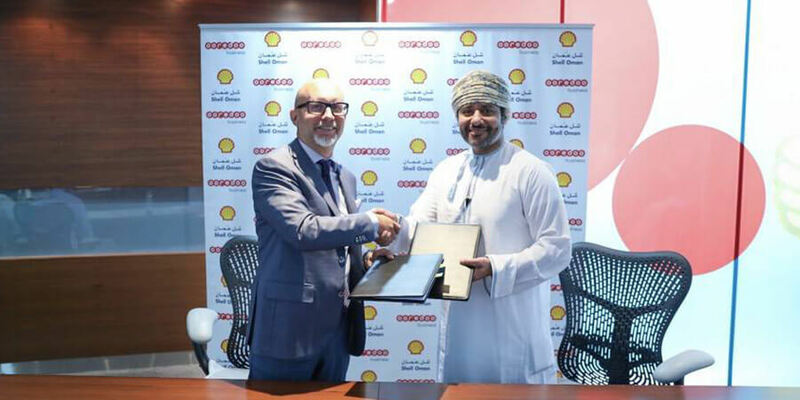 Ooredoo has signed an agreement with Shell Oman Marketing Company SAOG, the leading fuel marketing company in Oman, to provide network solutions, as well as high quality and reliable telecoms services to their network of 187 retail Service Stations, strategically located throughout the Sultanate. Ian Dench, Chief Executive Officer at Ooredoo said, "We are delighted to be chosen as Shell Oman Marketing Company's digital partner of choice to offer tailor-made solutions covering both mobile and fixed technology. We are excited about starting this new journey with them to help grow their business with the right communications infrastructure." Continuing to help companies 'Be Digital', Ooredoo provides organisations of all sizes with a portfolio of cutting edge products and services. Ooredoo will provide Shell Oman Marketing Company with a range of dynamic solutions, including PBX services, Ooredoo internet leased lines (OIE), Shahry Business Packs and bulk SMS services. This will improve existing network connectivity and optimise costs, which will result in greater business operational continuity and efficiency. Dr Mohammed Mahmood Al Balushi, CEO of Shell Oman Marketing Company, said: "Modern enterprises succeed when they adapt to industry and marketplace shifts and incorporate new technology into company culture and operations. Digital transformation is about bringing together the power of technology with a culture that embraces the shifts in customer behaviour and industry practices, and invites feedback and engagement. Our partnership with Ooredoo is meant to build a platform to work together towards such customer-centric approach, and drive us to the next level in our digital transformation, communications strategies and business objectives."